This statistic depicts the age distribution of Italy from 2007 to 2017. 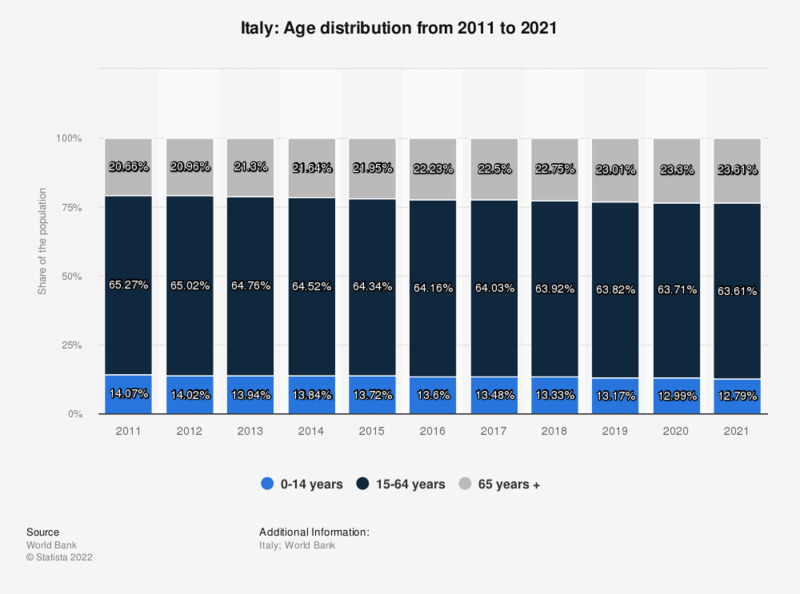 In 2017, about 13.52 percent of the population in Italy fell into the 0-14 year category, 63.46 percent into the 15-64 age group and 23.02 percent were over 65 years of age. Everything On "Italy" in One Document: Edited and Divided into Handy Chapters. Including Detailed References. How often do you happen to purchase food products directly from local producers?